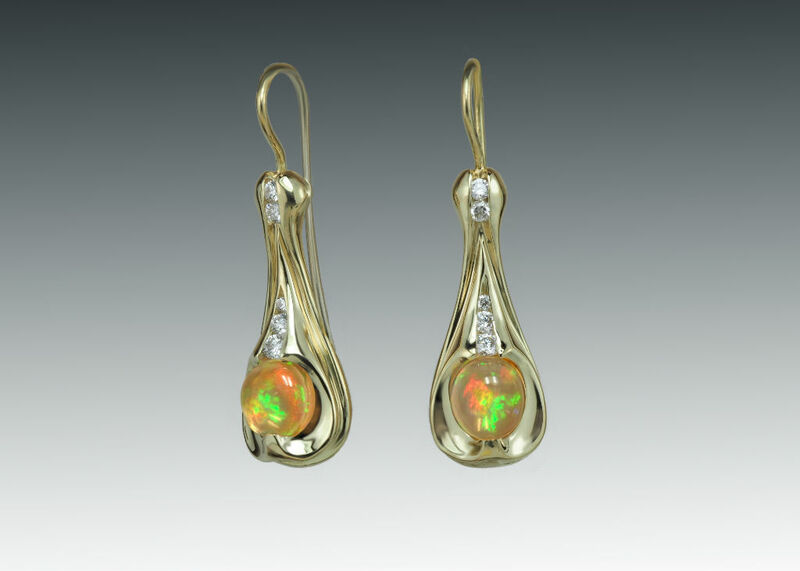 Fire Opal Dangle Earrings Dangling earrings in 18k yellow gold with fire opals and diamonds. 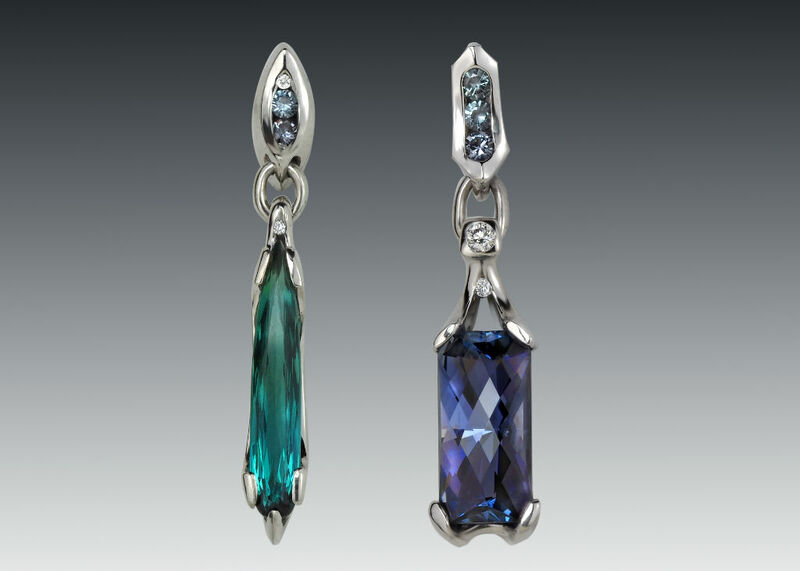 Tanzanite & Tourmaline Long Drop Earrings Asymmetrical mismatched long drop earrings with one tanzanite and one tourmaline, accented with diamonds and custom designed in palladium. 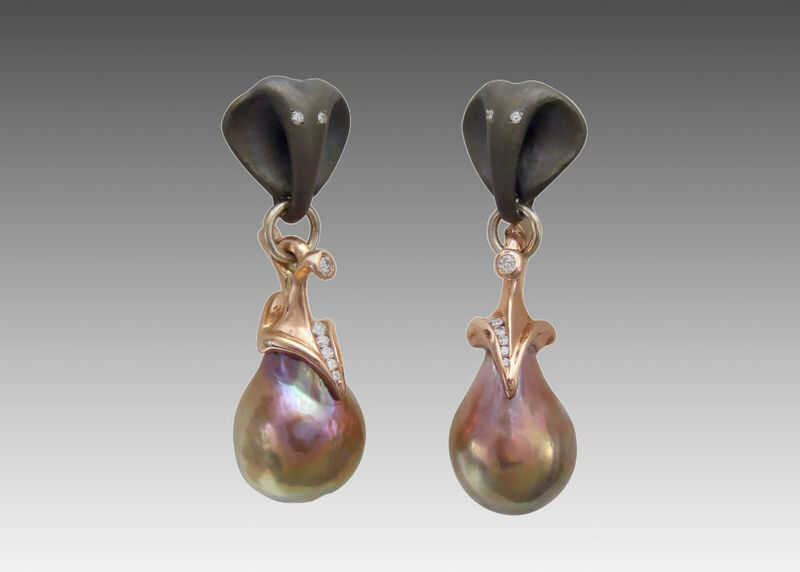 Pearl Branches Earrings A classic Skylight earring design. 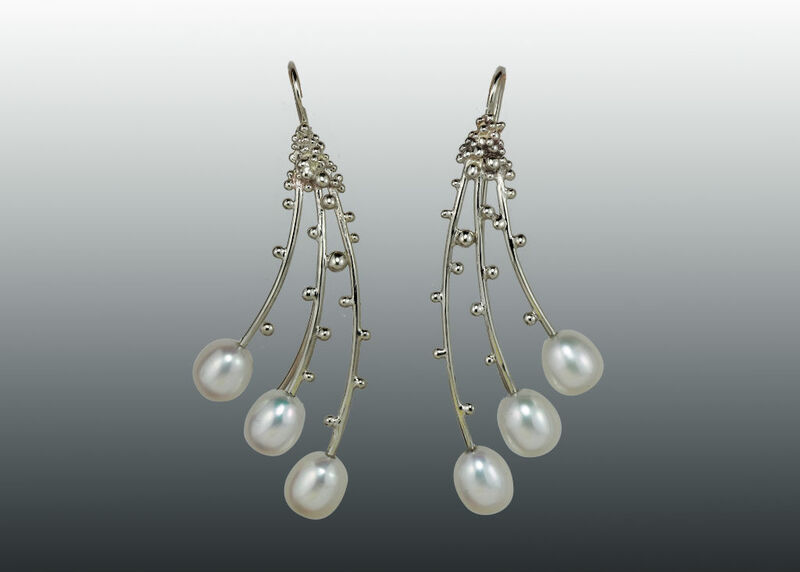 Long white gold earring featuring granulation and white freshwater pearls. Also available in other color combinations. Pink Gold Jasmine Earrings Designer 14k pink gold jasmine flower earrings set with faceted pink tourmaline. 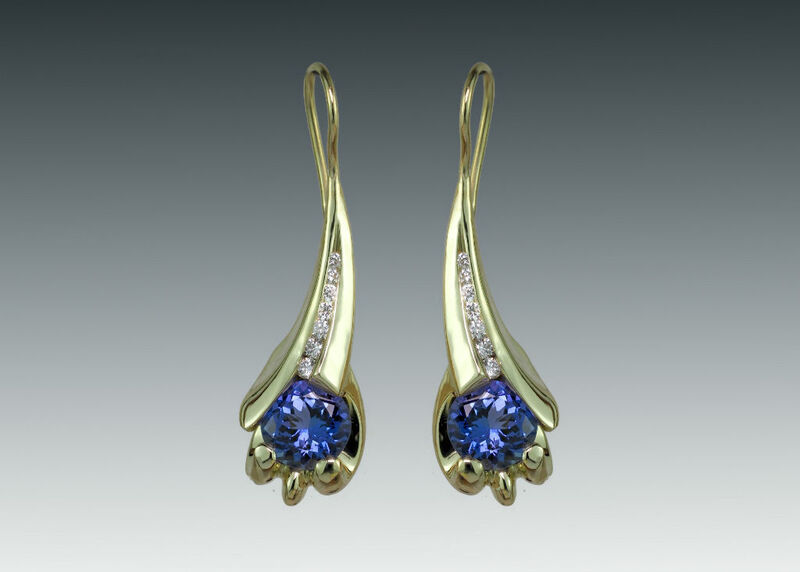 Tanzanite Jasmine Earrings Carved jasmine flower stud earring setting in white gold with tanzanite. Black Spinel & Diamond Earrings Black spinel gemstones surrounded by diamonds in palladium earring settings. Pink Sapphire Star Earrings Hand made 18k yellow & white gold star earrings set with pink sapphires. Aqua Rose Earrings Carved white gold rose stud earrings set with faceted aquamarines.